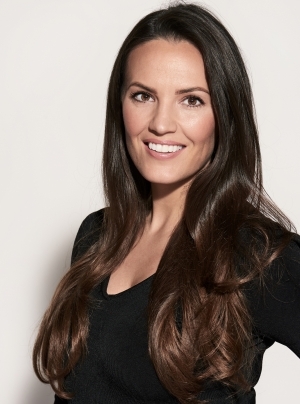 Lauren Murphy is a top makeup artist and skincare expert based in London. Her expertise, vibrant personality, extensive skills and her passion to share her knowledge has naturally progressed into television work both on and off screen. Lauren regularly works on TV shows and press junkets for ITV, BBC and Sky making up celebrity clients. From a very young age, Lauren possessed creative flair and regularly painted and used her imagination with arts and crafts. She became obsessed with fashion magazines and red carpet glamour, in particular, the golden age of Hollywood, where she was inspired by icons Sophia Loren and Marilyn Monroe. Lauren wished to turn her creativity into a career so decided to follow her dream in becoming a professional makeup artist. Following Lauren’s training at the London College of Beauty Therapy where she qualified in Skin Health and Facial Therapies, gaining excellent knowledge of skincare, she then went on to train at the prestigious London College of Fashion in makeup artistry and special effects. With her newly acquired qualifications, Lauren continued to develop her skills by assisting renowned makeup artists and went on to work for the Artists team at MAC, working at international fashion weeks, editorial shoots, campaigns and commercials. Lauren’s makeup style focuses on her strong background in skincare to enhance the features with a dynamic play on colour, yet keeping skin looking like skin. Lauren’s clients love her unique approach to makeup, using her expertise and knowledge in skincare to create beautiful, barely there, flawless looks. Her own freelance work and personalised approach has given her the opportunity to work with high profile celebrities, top retailers and well-known editorial. In addition to her artistry skills, her ability to communicate in a down to earth and compelling manner has forged a successful television career and role as a brand ambassador. NIVEA Brand Ambassador – Lauren has been working as the NIVEA’s Ambassador for 3 years, working as its expert makeup artist to launch new products, films content for tutorials, TV Commercials and presented backstage content for The Voice UK. This Morning – Lauren’s talent behind the camera when working for This Morning lead to a career in front of the camera as a beauty expert working on beauty-segments with Holly Willoughby & Philip Schofield doing live makeovers and makeup tutorials. Debenhams, Superdrug, Tan-Luxe, Makeup tutorials, content creation, presenter for QVC. Nike, Belstaff, John Lewis, Karen Millen, Marrionaud, Monsoon, Not on the High Street, Oasis, Superdrug, Topshop, Warehouse, Waitrose. The Voice, Sky Film Junkets, SKY Sports, Sky News, This Morning, BBC The One Show.